Total flooding system for protection of engine rooms and other types of machinery spaces. Local protection of cargo spaces (combined with smoke detector system SDA) for paint locker, computer cabinets etc. 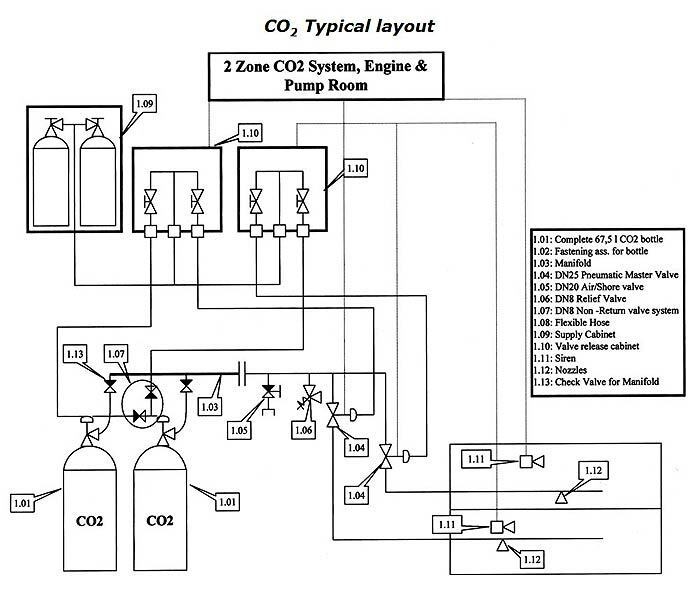 Carbon dioxide (CO2) fire extinguishing systems are useful to extinguish fires in specific hazards or equipment, and in occupancies where an inert electrically non-conductive medium is essential or desirable, when cleaning up of other media presents to a problem, or where there are more economical to install than systems using other media. Liquified CO2 is available in almost every port in the world. 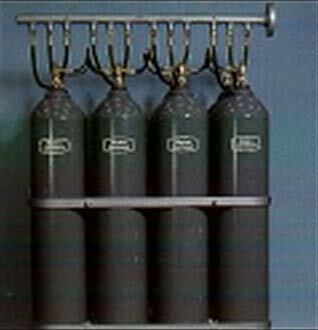 Carbon Dioxide is a non-flammable, colorless, odorless, slightly acid gas. With the required concentration for fire extinguishing on board it extinguishes surface- and deep seated fires. Our company offers complete installation and delivery of necessary pipes and fittings.